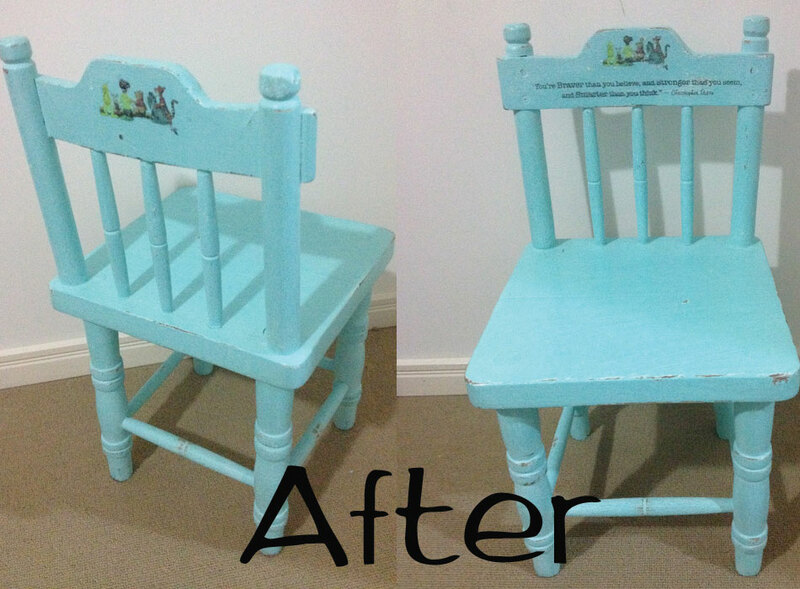 SO this is what I have been doing, when I should be doing blog posts……. 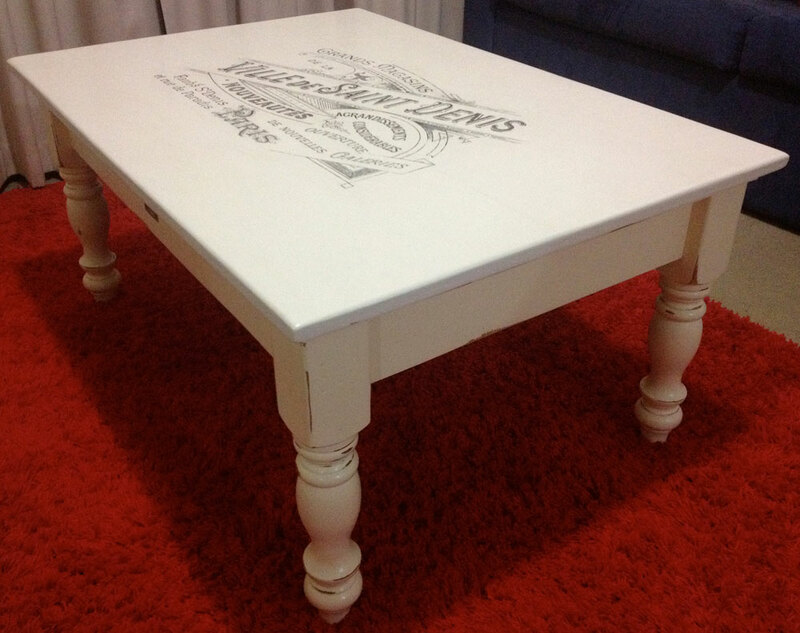 Chalk painting – everything in sight, picture frames, trays, desks, tables, chairs you name it, I want to chalk paint it. You see I am a “list girl”, yes – one of those people! Everyday I have a list of to do’s, must do’s, would like to do’s – you know the drill. But consistently my list keeps getting hijacked by my numerous DIY chalk paint projects – because it is just SO much fun. 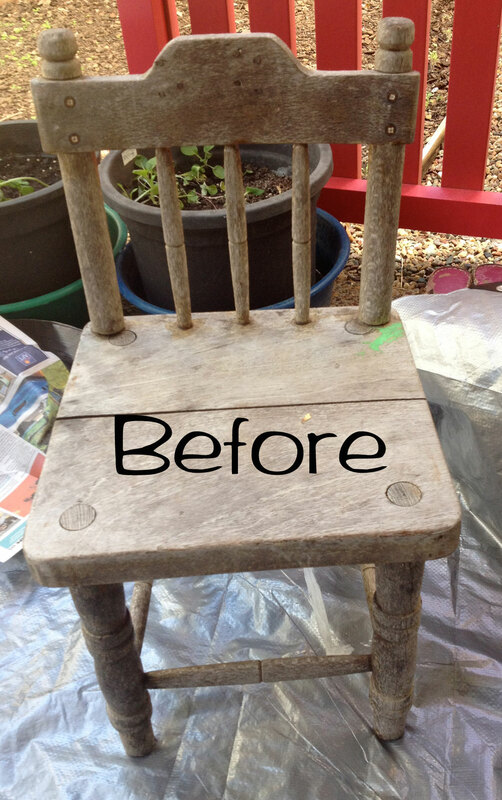 Taking something ugly, broken, scarred that nobody wants & turning it into something beautiful is just so fulfilling – especially for the girl who has never owned a hammer & used to be “allergic” to the hardware store. Finding bargains at my local Recycle & Re-use center for a few dollars & turning them into character-laden pieces filled with love (& on the odd occasion a few tears & curse words!) is so much better than buying mass-manufactured furniture from a store. 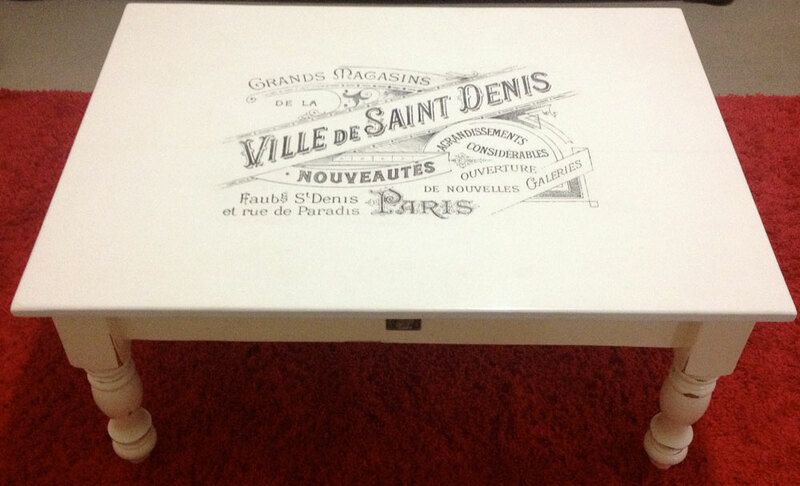 Everytime I see my coffee table I brim with pride – I did that!! Me, the girl that can’t hang a picture hook. So get out there & find something ugly & unloved & give it a new lease of life, Not only will the environment thank you, but I promise you will get warm fuzzy’s everytime you see your creation. 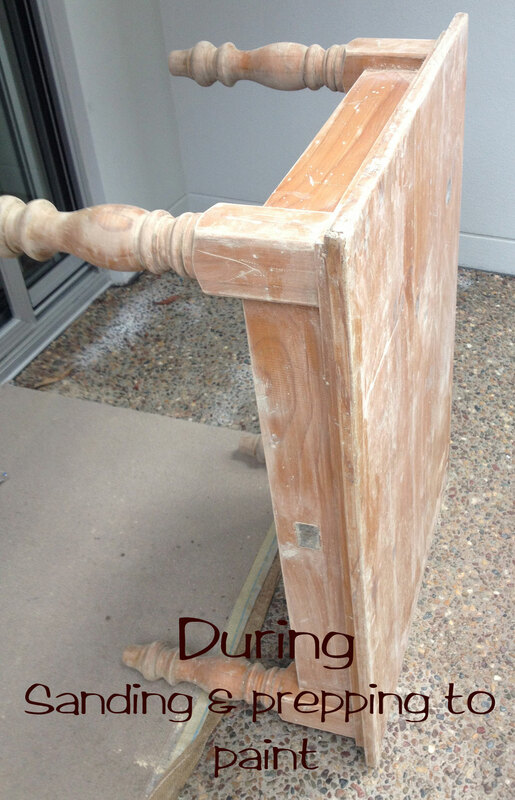 2 cups latex paint – I use ultra-cheap (poor quality) paint & it still works great! Place your water & plaster of paris in a container & whisk or beat with a stick blender until its smooth, like pancake batter (no lumps). Add your paint in slowly 1/2 a cup at a time & beat till smooth. The beauty of this paint is that you can be a DIY don’t-er like me & still make something truly beautiful & unique with a minimum amount of effort. 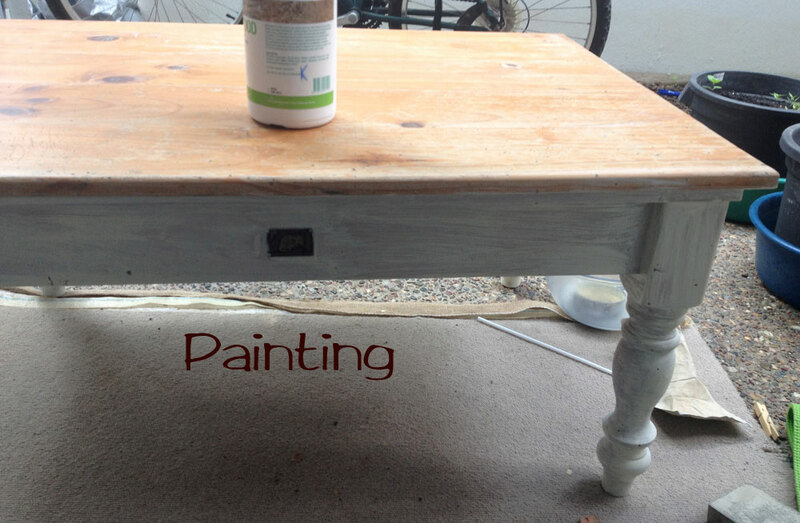 Some folks say you don’t need to sand & that chalk paint can be painted onto any surface, shiny, varnished etc. I always scuff my surfaces up with some really coarse sand paper first, not enough to remove the previous surface but enough to give the chalk paint a little something to adhere to. I also like to wash my pieces with sugar soap to ensure that all grease & grime has been removed. Then I paint & paint & paint, the chalk paint dries really fast – sometimes in as little as an hour, so you can normally coat your pieces 2 to 3 times in a day. Some surfaces I give three coats, some get five or six, it depends on how dinged & scratched the surface is, as the more layers of paint I put on, the more improved the surface gets. I normally try to allow my pieces two days to completely dry out before I start sanding them, I sand the paint back till I get a smooth finish (or until my arms get sore!) & distress my pieces here & there as I go. Once they are all sanded smooth, I then add any painting, transfers or artwork I want & leave for 24 hours to completely dry before waxing with a good quality carnuba wax & buffing to get a high shine.